Scoliosis is commonly known as a curvature of the spine. Scoliosis is not seen as a diagnostic term but more as a description of a sideways curvature accompanied by a vertebral twist. Scoliosis is rarely found as a significantly debilitating condition. The curve of the spine in healthy individuals is meant to be vertical or straight up and down when looking from behind. A healthy resting neutral spine from a side view has a mild curve inwards at the neck (Cervical spine), a mild rounded curve at the mid-back area (Thoracic spine), and a mild curve inwards in the lower back (lumbar spine). In individuals with a scoliosis, a curve to the left or the right can be seen when looking from behind. Scoliosis Australia explains that most scoliosis or spine cures are seen in the thoracic spine. Most curves are quite mild and only 2 to 3% have curves of 10 degrees or higher (moderate curves). Of these less than 0.1% have curves of 40 degrees or higher (http://www.scoliosis-australia.org/). Scoliosis is more common among girls than boys. Also the degree of curvature varies greatly within the different types of scoliosis as outlined below. Infantile scoliosis which can be seen in new borns and is easily detected. This form of scoliosis is more common among boys. It will often resolve without major troubles. Paediatric physiotherapy can help family’s assist their baby to correct the scoliosis with postural positioning exercises. The most common type of scoliosis is adolescent idiopathic scoliosis or AIS. AIS is found most commonly from 10 years of age onwards. In mild cases, the affects of AIS are mostly aesthetic with little major health problems. The major thoughts are the curvature in AIS in most cases can be gradually corrected and then maintained through gentle exercise with the guidance of one of our physios at Sport & Spinal Physiotherapy. Other forms of scoliosis can develop later in life through degenerative changes that occur in bones and joints. Weight bearing exercise has shown to improve bone and joint health in older individuals. There are a number of causes of scoliosis which stem from diseases or malformation of vertebra during skeletal development. Scoliosis can also develop due to neuromuscular disorders or as a result of spinal trauma during development. It is known that there is a significant link with family history. 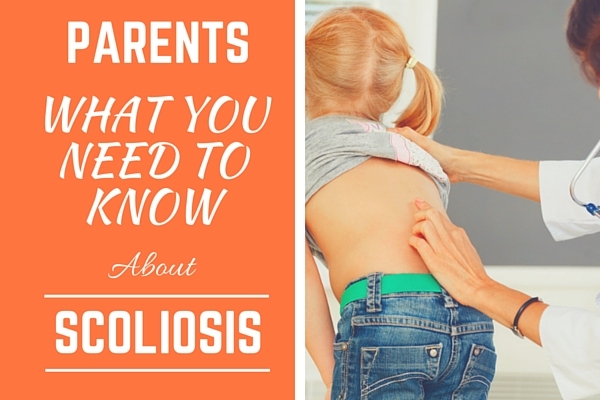 So should anyone in your family have a scoliosis it is worth keeping close track of your child as they grow. In the adolescent years, when we have not reached full skeletal maturity, scoliosis is at greatest risk of developing. These are the years that we need to be most diligent in making sure your child is assessed by a physio for any signs of scoliosis. Should a scoliosis be found, regular monitoring during adolescence is important as well as a gentle exercise program to help prevent progression of the problem. Splinting or bracing may be deemed necessary if the scoliosis in your child has progressed. The brace would need to be worn until your child reaches skeletal maturity. In very few cases, when the scoliosis progresses beyond a curve of about 40 degrees, surgery may be required. The development of scoliosis before 10 years of age is rare however should it occur it is very important to regularly seek a medical check. If the scoliosis is severe, it can lead to significant restrictions on the persons heart and/or lungs. For a quick home check if your child has a scoliosis please watch the video below. Variation in leg length can have an impact on the degree of scoliosis curvature causing the pelvis to tilt of to one side when standing. The pelvis will generally tilt towards the short leg side and as such the spine will curve back towards vertical to keep you upright. Should a leg length be significant (ie. more than 2-3mm) foot inserts may be required to keep the pelvis level. Leg length difference greater than 1cm will require custom shoes with a sole build-up. You will need to see our podiatrist at Sport & Spinal Physiotherapy to have the correct shoe prescribed in this case. Ideally your child will have no sideways deviation from the vertical when viewed from behind. The perfect posture is referred to as our neutral spine, this is the position at which our torso is at lowest risk of developing aches and pains or tissue damage. Obviously if you suffer from a scoliosis you will have a curve seen from the front or behind so you will need to do the best you can to maintain your neutral spine. When sitting, gaming or watching your favourite TV series try and avoid leaning to one side, place a pillow behind your back or better still make use of an ergonomic aid (such as the D-rolls or Bassett chairs) to help maintain your neutral spine. Should you feel your posture slipping get up have a quick stretch and reset your posture. If you have any pain that prevents you from sitting with your back comfortably straight you should seek the advice of your physiotherapist. Scoliosis can be helped with physiotherapy guided exercise that aim to strengthen the weakness and lengthen any specific tight muscle and joints involved in the curvature. Negative symptoms that can arise due to a scoliosis is back pain, difficulty breathing, decreased flexibility. It is best to start treatment as soon as possible at least whilst your child is still growing, since once they reach skeletal maturity, the scoliosis can be difficult to correct. The modern sedentary lifestyle is seen to be a major cause of common and not so common injuries and diseases today. Maintaining a healthy back requires regular gentle exercise. Suffering from a scoliosis makes you prone to suffer from joint stiffness and muscle tightness, which can lead to pain. This does not mean you will suffer pain just because you have a scoliosis but you will be more likely to have painful episodes. Treatment from a physiotherapist can assist. Furthermore, regular gentle exercise such as Pilates, yoga, Thai Chi, swimming, walking and many more can be extremely valuable in preventing pain and stiffness. Typically, I like to prescribe swimming (particularly backstroke) for children, as this encourages extension and rotation through the thoracic spine. If you are doing freestyle, bilateral breathing is emphasised. 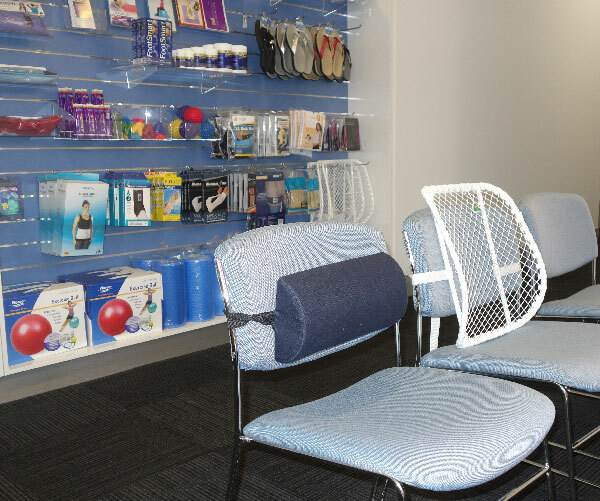 Gentle load bearing exercise is also encouraged as a means of maintaining bone health, this is particularly important later in life helping fight off osteoporosis and helping minimise osteoarthritis pain. The development of bone damage with age can lead to the formation of a scoliosis later in life since some vertebra may become wedge shaped with the disease process. 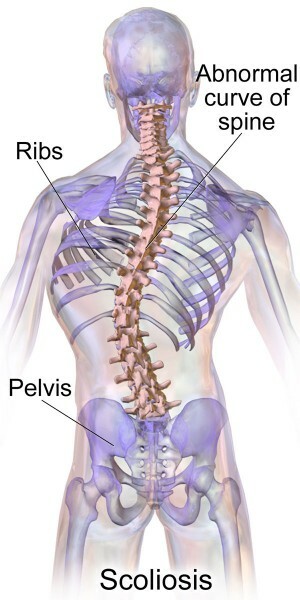 Just the other day I had a client who had been diagnosed with a curvature of her spine in her early teens. She went through a stage of bracing due to the degree of her scoliosis to try and minimise the curvature along with regular exercise. Now a young adult, my client does not often suffer from any pain; however, she experiences moderate levels of stiffness. This stiffness in her joints is worsened if regular exercise is not performed. 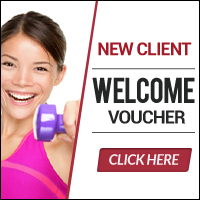 My clients prefers an exercise program incorporating yoga and clinical Pilates. She also favours getting a fairly regular massage and gentle joint mobilisation by a physiotherapist. I have also previously treated a young lady who was suffering from a mild scoliosis and due to her need to study for university exams she presented with pain and stiffness in her thoracic spine. She was quite kyphotic (rounded or slouched) through her thoracic spine and her spinal mobility was restricted. With physiotherapy treatment sessions, along with regular stretching and strengthening, her mobility and posture improved and she was painfree. One problem that can aggravate scoliosis is only using one side of your body with everyday tasks. Unfortunately this is a normal part of our lives these days. What this means for you is you need to make a conscious effort to use both sides of your body as evenly as you can. If you have young children make sure you do not always pick them up on the same side, chose sports that are ambidextrous like martial arts and set up work environments so that you can change your mouse between hands regularly. These are a short number of things that can be done to help maintain a healthy spine and prevent the exacerbation of pain caused by a scoliosis. 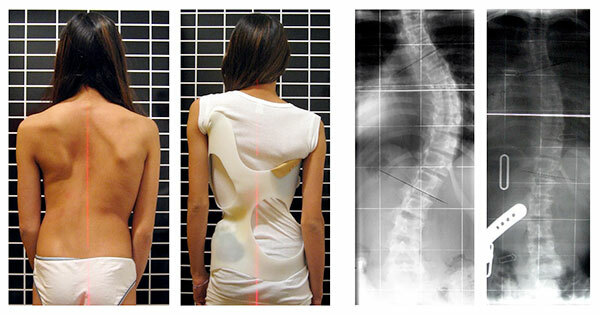 The key to success with treatment of scoliosis is in the early detection and monitoring of the client. Scoliosis is now rarely missed in the western world and will often be picked up with a visit to a physiotherapist. During the month of February, we are offering a FREE scoliosis check for your child, to see if physiotherapy can help. Remember it is important that we pick any signs of scoliosis up early, since once your child stops growing, it can be very difficult to correct the scoliosis. So call 6262 4464 today and book your child in for a FREE 10min scoliosis assessment to see one of our physios and have that piece of mind. 7 Easy Foam Roller Stretches To Do At Home Top 3 Reasons Pilates Can Fix Your Back Pain New Canberra City Practice Opening May 18 Quick Guide to Hypermobility – are your joints too loose? Tim graduated from the University of Canberra 2010 with a Master of Physiotherapy after completing a Bachelor of Applied Science (Human Biology) also at the University of Canberra in 2007. He has a keen interest in health and fitness, focusing on strength and conditioning. Tim enjoys treating sports related injuries and he is fortunate to be involved in Canberra rugby in both junior and senior development teams. Tim loves the outdoors and enjoys hiking, camping, social soccer, rugby union as well as frequently playing touch football. Tim also tries his hand at furniture making, cooking and gardening.